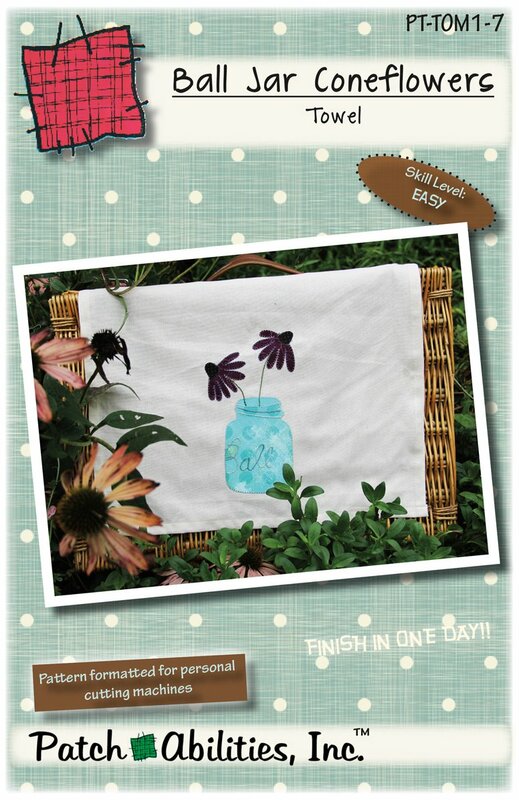 You will love a summer kitchen tea towel featuring a mason canning jar as a vase for purple cone flowers. Pattern features: fusible applique, directions for hemming raw ends of toweling, embroidery stitch diagrams for hand stitching the details, pattern sheet (unlabeled and non-reversed) for use with personal cutting machines. Look for more seasonal towel designs in our towel of the month series. Tea towel not included.